Normandy has long been one of my very favourite European destinations. 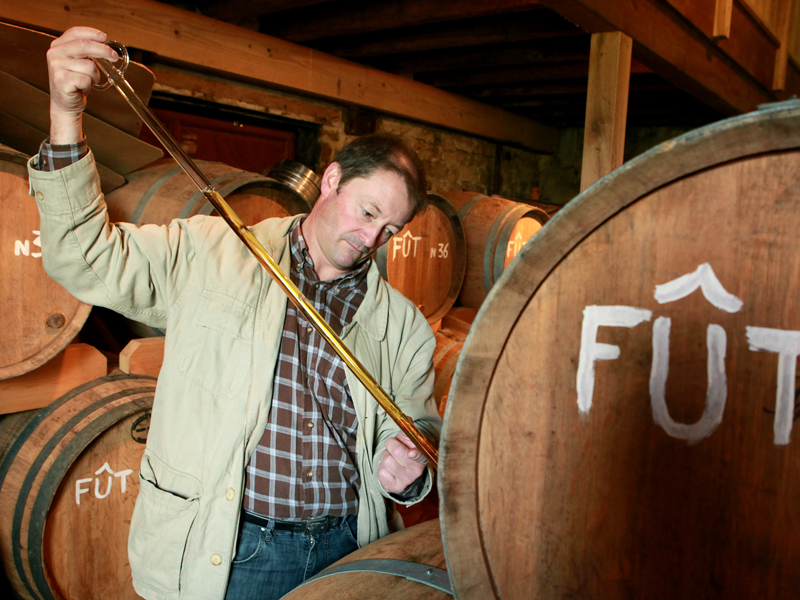 It’s just an amazing combination of such diverse history, nature and wonderful food, crammed into a small corner of France. 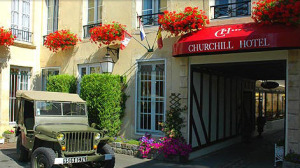 Hotel Churchill – 14-16 Rue Saint-Jean, 14400 Bayeux. I simply adore Bayeux. I find it such a wonderful almost spiritual place. I love nothing more than strolling the quiet streets after dark, admiring the not as famous as it should be stunning Cathedral, the light looting out from cosy restaurants onto the often wet cobbles, sitting admiring the Liberty Tree planted in 1792, just relaxing. When there to my mind there is only ONE place to stay – The Churchill. This is as much as museum as a hotel, with incredibly interesting WWII memorabilia from floor to ceiling. It is a hotel which oozes character, wonderfully staffed by Daniel and retired football star-owner Eric. All the staff I met were great and fabulous breakfast too. My love for Bayeux grew even stronger in 2013 when I discovered George and Natalia. 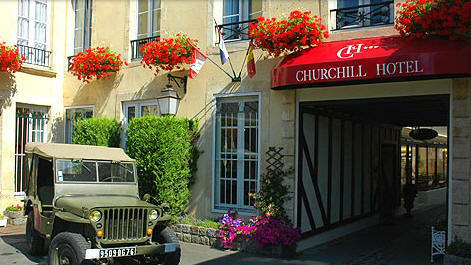 For the Churchill website and to make a reservation click here; Hotel Churchill Bayeux. La Sapiniere – 100, Rue de la 2ème infanterie US. 14710 St Laurent sur Mer. 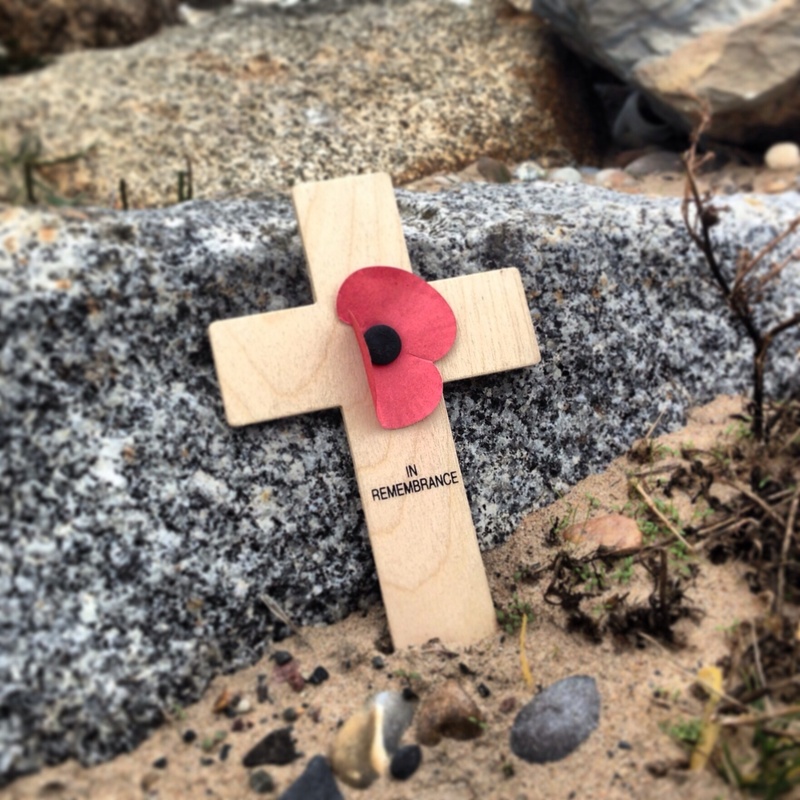 I often take groups to Normandy, and as many of these are from the US, a stop at ‘Omaha Beach’ is a must. Through this dark chapter of history I have come to know and love La Sapiniere. The food is just fantastic. Especially the sea food dishes (I really must branch out and try something other than their amazing moules frits – but it is so good. Although I only ever eat here, it works as a hotel too where I think you stay in cute little wooden cabins. This is one of my favourite places to eat in all of Normandy and a personal highlights of our D-Day experience. Website here; La Sapiniere. 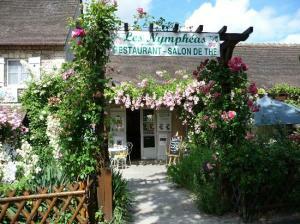 Les Nympheas – Opposite the entrance to Maison Claude Monet, Giverny. The first time I realised I had to eat here; right by the exit of the museum I thought; here we go, tourist trap, this will be quick, overpriced and not good. I have since been made to eat my words (several times thankfully). The food is as quick as you want it to be, very reasonably priced and delicious. I usually have one of their excellent salads and this is a place where I do for once have dessert – they are often homemade pies (the last one was cherry- yum). It can get busy (as they take groups) but there is plenty of room, inside and out, so I throughly recommend it. Their website is here; Les Nympheas. La Ferme de La Sapinière – Route de Port en Bessin. 14710 Saint Laurent sur Mer. 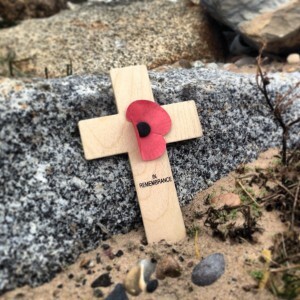 Again a place I discovered as part of my D-Day work as a guide. If time permits I take my groups here for a quick tasting. 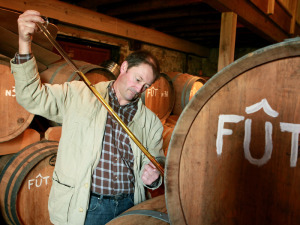 And this is one of the places where the guide buys too… I LOVE their calvados aperitif.